Glucocorticoids, known commonly as steroids, are important therapeutic agents that rheumatologists and other physicians use to treat a variety of medical conditions. Steroids can be lifesaving but can also have multiple side effects. Osteoporosis with associated fracture is one of the most devastating of these. Steroids can be administered in various ways, including oral, intranasal, injection or intravenous. More familiar names for steroids may include prednisone, Medrol and Decadron. Glucocorticoids have a detrimental effect on bone formation, turnover and integrity. The primary action is on inhibition of bone-forming cells, known as osteoblasts, leading to decreased bone formation. A rapid decline begins in the first three months of steroid use and peaks at six months, followed by a slower, steady loss with continued use. Other effects include impairment of bone repair, increased bone resorption, decreased calcium absorption by the gastrointestinal tract, and increased urinary excretion. In addition, muscle strength is weakened, resulting in increased risk of falls and fractures. 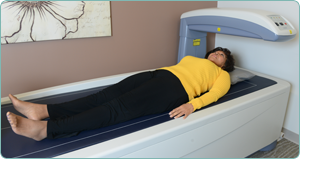 Despite the prevalence of steroid-induced osteoporosis, many patients on chronic steroid therapy do not receive bone density testing by DEXA scan or the recommended preventative therapy for osteoporosis. 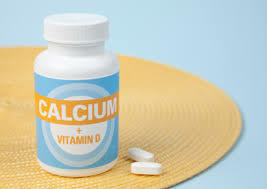 Anyone taking glucocorticoid medicine must get sufficient calcium and vitamin D. The American College of Rheumatology recommend at least 1,500 mg of calcium and 800 to 1,000 IU of vitamin D supplements each day. Your doctor may measure the vitamin D level in your blood to find out whether you need more vitamin D supplementation. Some patients will need medication to treat steroid-induced osteoporosis. The decision to start prescription medications will depend on your DEXA results; risk factors, including age, gender, childbearing potential, and fracture history; the dose of your steroid medication; and the duration of your treatment. Medications commonly used in the treatment or prevention of steroid-induced osteoporosis include alendronate (Fosamax), risedronate (Actonel), zoledronic acid (Reclast) and teriparatide (Forteo). Your rheumatologist will review these with you. Women planning a pregnancy should talk to their rheumatologist about the pros and cons of taking a prescription medication. None of the prescription medications have enough safety data available to recommend using them for women who are currently pregnant or breastfeeding. Finally, it is important to communicate with your doctor if you are taking glucocorticoid medicine. Your doctor will help you use the smallest dose of glucocorticoid for the shortest duration possible that will still keep your disease under control. You, of course, can help yourself by being physically active, doing weight-bearing exercises, quitting smoking and taking steps to help decrease your risk of falling.